The “Whosoever” means YOU. The Creator of this world and all there is, loves YOU. The reason Jesus came was so YOU could have abundant life now and for evermore. As you were born physically, you must be born spiritually. ACKNOWLEDGE you are a sinner, headed for hell, and repent of your sins. Romans 3:23-For all have sinned and come short of the glory of God. Romans 6:23 – For the wages of sin is death; Luke 13:3 – Except ye repent, ye shall likewise perish. BELIEVE Jesus died for you and rose again, and ask him to save you. Romans 5:8 – But God commendeth his love toward us, in that, while we were yet sinners, Christ died for us. Romans 10:9 – That if thou shall confess with thy mouth the Lord Jesus, and shalt believe in thine heart that God hath raised him from the dead, thou shall be saved. 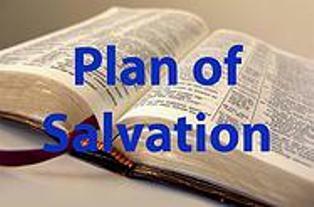 Romans 10:13 – For whosoever shall call upon the name of the Lord shall be saved. CONFESS the Lord Jesus with your mouth to show that you trust him. Romans 10:10- For with the heart man believeth unto righteousness; and with the mouth confession is made unto salvation. Dear Lord, I know I have done wrong and need forgiveness. Thank you for dying for my sins and offering me an abundant and eternal life. Please forgive my sins and help me to turn from them. I now confess you as my Lord and receive you as my Savior. Take control of my life and make it full and meaningful. In Jesus’ name. Amen. If you prayed this prayer, we'd like to hear from you. We welcome you to contact our Pastor at the church office or email us at clearcreekbaptistwebmaster@gmail.com. God Bless You.